Escape the urban bustle at Rim Trail and Inner Canyon. On the 18th (Sat), hike the day away at Bright Angel Trail. And it doesn't end there: take in breathtaking views at Grand Canyon South Rim, make a trip to Powell Point, and trek along South Kaibab Trail. To see ratings, more things to do, other places to visit, and tourist information, go to the Grand Canyon National Park road trip planner. New York City to Grand Canyon National Park is an approximately 12.5-hour combination of bus and flight. You can also do a combination of flight and bus; or drive. Due to the time zone difference, you'll gain 2 hours traveling from New York City to Grand Canyon National Park. Traveling from New York City in July, expect colder with lows of 52°F in Grand Canyon National Park. Cap off your sightseeing on the 19th (Sun) early enough to travel to Honolulu. Get outdoors at Waikiki Beach and Hanauma Bay Nature Preserve. 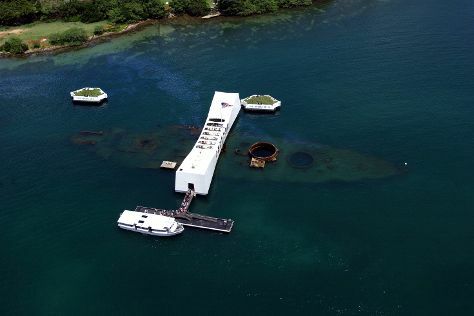 USS Arizona Memorial and USS Bowfin Submarine Museum & Park are good opportunities to explore the local culture. When in Honolulu, make a side trip to see Kailua Beach Park in Kailua, approximately 32 minutes away. It doesn't end there: explore and take pictures at Diamond Head State Monument and take in the dramatic scenery at Manoa Falls. To find reviews, maps, other places to visit, and tourist information, refer to the Honolulu day trip site . You can do a combination of bus and flight from Grand Canyon National Park to Honolulu in 13.5 hours. Other options are to do a combination of shuttle and flight; or do a combination of bus, shuttle, and flight. You'll gain 3 hours traveling from Grand Canyon National Park to Honolulu due to the time zone difference. Plan for warmer nights when traveling from Grand Canyon National Park in July since evenings lows in Honolulu dip to 75°F. Cap off your sightseeing on the 22nd (Wed) early enough to travel to San Francisco. Escape the urban bustle at Alcatraz Island and Tall Trees Grove. Twin Peaks and City Lights Booksellers will appeal to history buffs. Go for a jaunt from San Francisco to Mill Valley to see Muir Woods National Monument about 46 minutes away. There's much more to do: snap pictures at Golden Gate Bridge, get curious at Exploratorium, take a leisurely stroll along Fisherman's Wharf, and browse the exhibits of SS Jeremiah O'Brien. To see maps, more things to do, and tourist information, you can read our San Francisco travel planner. Getting from Honolulu to San Francisco by flight takes about 7.5 hours. Other options: do a combination of flight and train. You'll lose 2 hours traveling from Honolulu to San Francisco due to the time zone difference. Traveling from Honolulu in July, things will get little chillier in San Francisco: highs are around 73°F and lows about 57°F. Finish your sightseeing early on the 25th (Sat) so you can drive to Yosemite National Park. Take a break from the city and head to Nevada Falls Loop and Tuolumne Meadows. 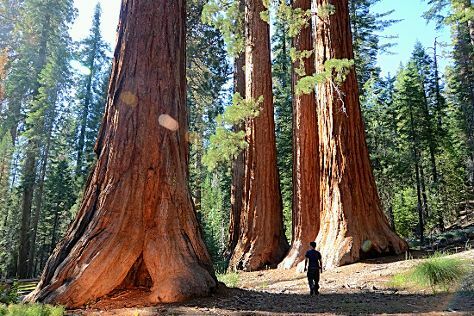 And it doesn't end there: stroll around Mariposa Grove of Giant Sequoias, take in the dramatic natural features at Lembert Dome, take in the dramatic scenery at Vernal Fall, and explore the activities along Tenaya Lake. To see other places to visit, reviews, more things to do, and other tourist information, read Yosemite National Park trip tool . Traveling by car from San Francisco to Yosemite National Park takes 4 hours. Alternatively, you can do a combination of flight and car; or do a combination of flight and bus. While traveling from San Francisco, expect a bit warmer days and little chillier nights in Yosemite National Park, ranging from highs of 83°F to lows of 46°F. Wrap up your sightseeing on the 29th (Wed) early enough to travel to Yellowstone National Park. Visiting Mystic Falls Trail and Yellowstone Lake will get you outdoors. Next up on the itinerary: witness a stunning natural landmark at Upper Geyser Basin, explore the striking landscape at Lower Geyser Basin, look for all kinds of wild species at Gibbon Falls, and appreciate the extensive heritage of S Rim Trail. To see reviews, more things to do, where to stay, and other tourist information, refer to the Yellowstone National Park road trip app . Getting from Yosemite National Park to Yellowstone National Park by combination of car and flight takes about 10 hours. Other options: do a combination of bus, flight, and car. The time zone difference when traveling from Yosemite National Park to Yellowstone National Park is 1 hour. In July, Yellowstone National Park is little chillier than Yosemite National Park - with highs of 73°F and lows of 39°F. Finish your sightseeing early on the 2nd (Sun) to allow enough time to travel to New York City. Do some cultural sightseeing at The Metropolitan Museum of Art and American Museum of Natural History. 9/11 Memorial and St. Patrick's Cathedral will appeal to history buffs. There's much more to do: make a trip to Central Park, get some thrills on the water with a speed boat tour, contemplate the long history of Ellis Island, and enjoy breathtaking views from Empire State Building. For traveler tips and more tourist information, read our New York City trip maker . Traveling by combination of car, flight, and bus from Yellowstone National Park to New York City takes 9 hours. Alternatively, you can do a combination of bus, shuttle, and flight; or drive. The time zone difference when traveling from Yellowstone National Park to New York City is 2 hours. Traveling from Yellowstone National Park in August, you will find days in New York City are somewhat warmer (84°F), and nights are much warmer (71°F). Finish your sightseeing early on the 6th (Thu) so you can travel back home.